Almo Professional A/V is offering Barco ClickShare Certified Technician training. Taking place on June 19 and June 20 at the new Almo Professional A/V office in Baltimore, MD, the training is worth three AVIXA CTS Renewal Units (RUs). Participants in the June 19 session can earn a Certified Specialist designation, while those in the June 20 session can become Certified Technical Experts. The training sessions take place from 9:00 a.m. to 5:00 p.m. with lunch included. Additional dates are being planned for Almo-led training sessions in multiple cities across the U.S. 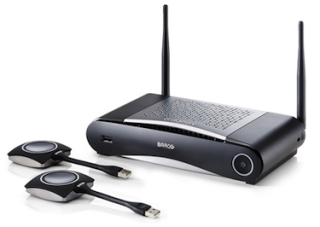 The Barco Certified Specialist training session incorporates details on ClickShare functionality, installation, management, and configuration, and is considered to be an introductory course. It includes integration in the corporate network, management suite use, security, configuration, Wi-Fi management, and tips and tricks. The Barco Certified Technical Expert training session includes ClickShare installation, management, and configuration on a deeper level through hands-on exercises. This training provides expert ClickShare knowledge for installation engineers, IT profiles, and others interested in Barco, including partners, resellers, and large end users. Participants must hold the Barco Certified Specialist designation as a prerequisite.